We stopped at the Campus Martius Museum, Marietta, Ohio, on October 13, 2011. They did something quite unique, but quite reasonable: they designed the museum around a 1788 home. Rufus Putnam was one of two New Englanders who initiated the 1786 Ohio Company, which successfully contracted with the United States Congress to purchase a tract of the country’s newly acquired Northwest Territory. The company created the first European community in the territory: Marietta, Ohio. 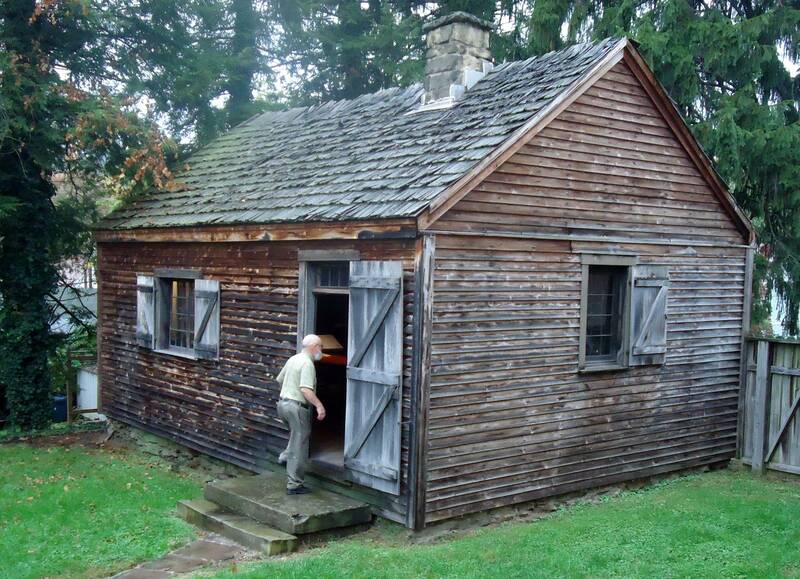 Rufus moved here, built a home, and remained in the wilderness until his death at age 88. The museum had other exhibits, which we didn’t have time to explore, displayed from a basement to a second floor. It amazes me when I read about the pioneers settle virgin forest land along and west of the Ohio River. What hardships they faced traveling from the Atlantic seacoast over repetitive mountain ranges along “roads” not much better than Indian trails. To further their difficulties many rivers that had to be crossed. Their mode of transportation was foot, horse, and/or wagon train. When they arrived at their destination they were confronted with creating structures to protect them from Mother Nature’s elements and all the various critters that live in the forest. Many of these very same creatures also provided them with a food source. 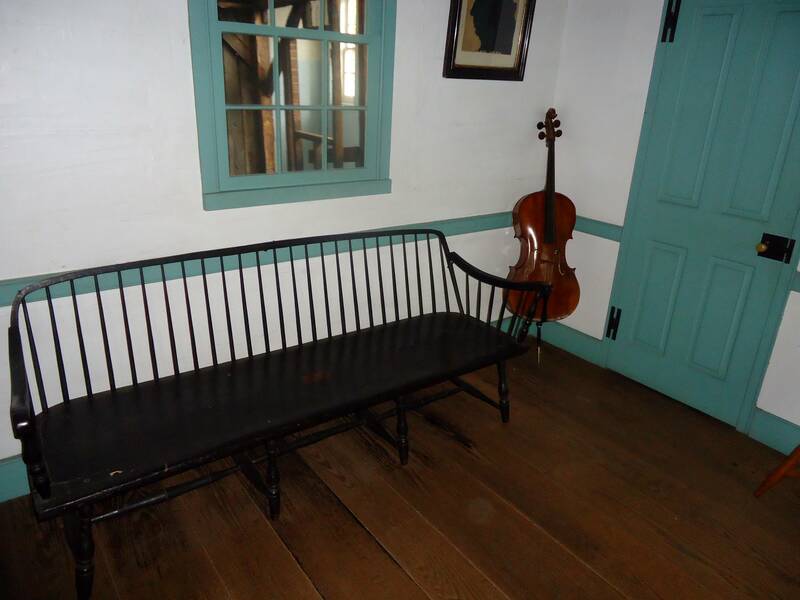 During Putnam’s initial stay in Marietta he slept on the bench pictured here. The violin represents the music manypioneers brought west with them. 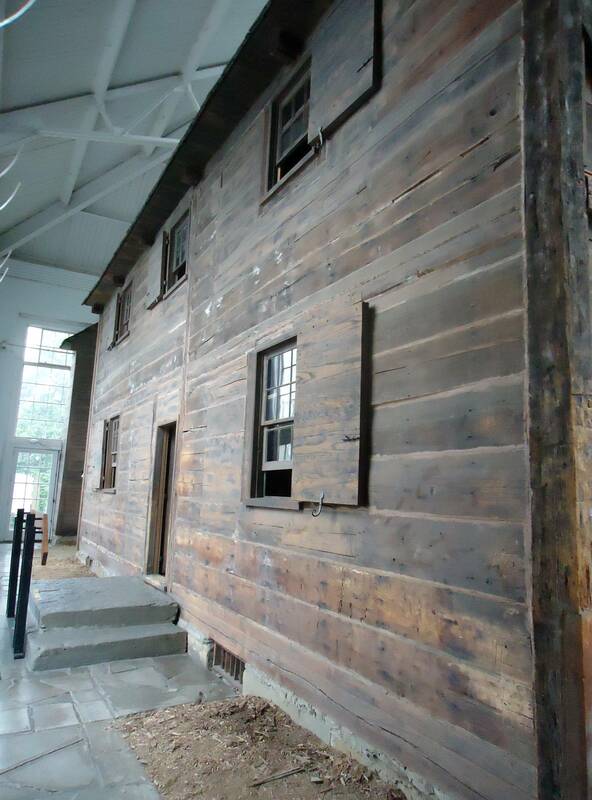 Seeing the remains of the Rufus Putnam house increased my appreciation of the difficulties—and the skill—of these pioneers. They had to fell trees, cut boards, and construct the dwelling, all without the use of the power tools we have available today. Yet, the finished product was sturdy and long-lasting, a dwelling that I might be proud to live in today. That is, except for the fireplaces that burned twenty-four hours a day for three hundred sixty five days a year. That is quite a fire risk—and I imagine many structures were destroyed by fire. After touring the Rufus Putnam house we only had a bit of time to visit the Ohio Company Land Office, a small building used for real estate marketing. It is a separate building in the yard of the Campus Martius Museum. It is the original building. 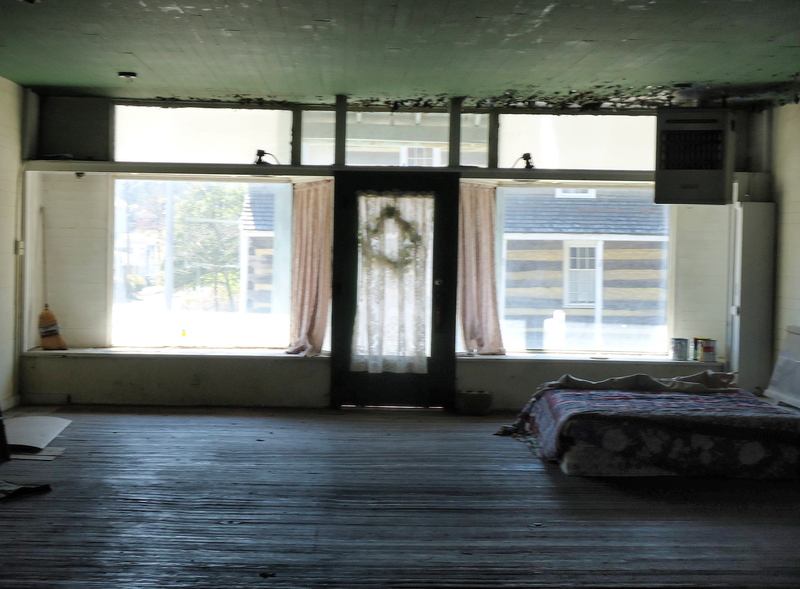 I was pleased that I was allowed to take photographs while touring the Rufus Putnam house and the Ohio Company Land Office. Having illustrations available when writing about something is valuable. We left the Campus Martius Museum in heavy rain, picked up Route 7, and headed off for Gallipolis. The rain slowed, stopping by the time we reached Gallipolis, which we will explore tomorrow.